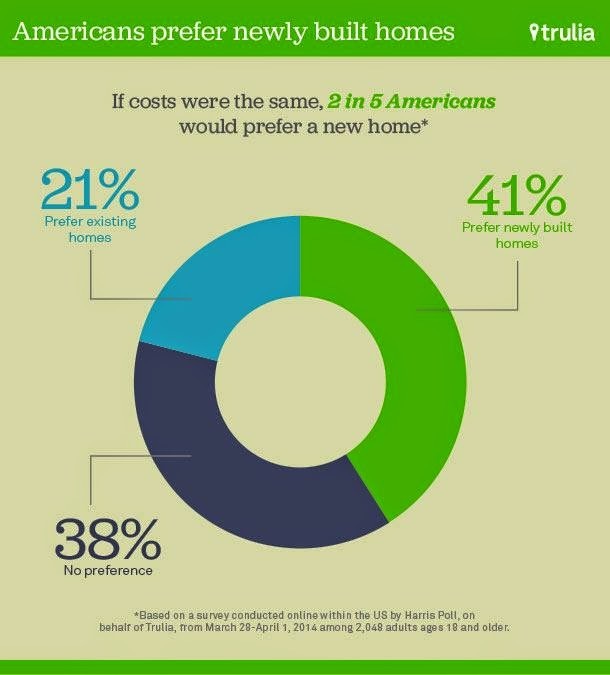 While twice as many American consumers prefer a newly built home compared to an existing dwelling, many are reluctant to pay extra for new, according to the results of a new survey from Trulia. Forty-one percent of respondents said they prefer to buy a new home over a previously lived in one, compared to 21 percent who said they would prefer an existing home at the same price. But of those buyers interested in new homes, only 46% were willing to pay the 20% premium that new homes typically require. In fact, only 17% of respondents said they would pay at least 20% more for a new home.